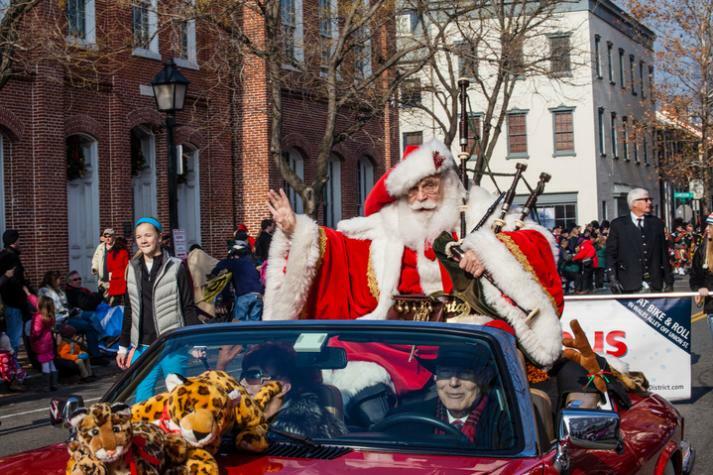 Hosted by the Campagna Center, this local parade tradition features music, pageantry, and a visit from Santa! 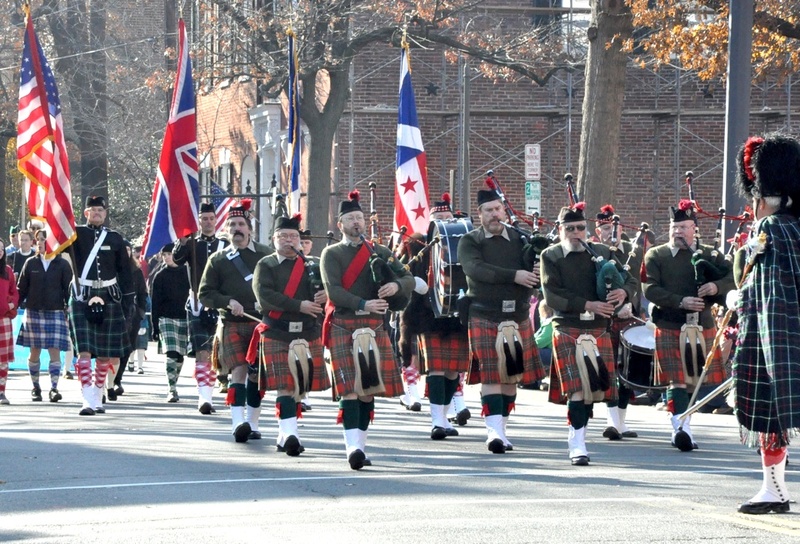 If you love a parade, plan on heading out to Old Town Alexandria for the 48th Annual Scottish Christmas Walk on Saturday, December 1. The streets will ring with the music of bagpipes as hundreds of clansmen (and women) will don their tartan best to bring you the sights and sounds of Scotland. Combine the parade with the Heather and Greens fundraiser or a morning of shopping on King Street for a fun-filled family outing. WHEN: Saturday, December 1, 2018 | Parade begins at 11 a.m. WHEN: Parade route begins at St. Asaph/Wolfe Street and proceeds through town to Market Square. View the entire parade route here. Businesses will remain open during the parade, but local roads will be closed along the parade route. Plan on getting there well before 11 a.m. to find parking. You can bring folding chairs to set on the sidewalk, but space is first come-first served. Paid parking can be found at the lot under Market Square (off King Street) and the lot across from the Torpedo Factory. Make sure you check street parking for residential zone restrictions. Well-behaved pets on leashes are always welcome on the streets of Old Town Alexandria. Just make sure they're good with crowds on parade day! For more information about the Scottish Christmas Walk parade, including information about The Campagna Center, visit the event website. 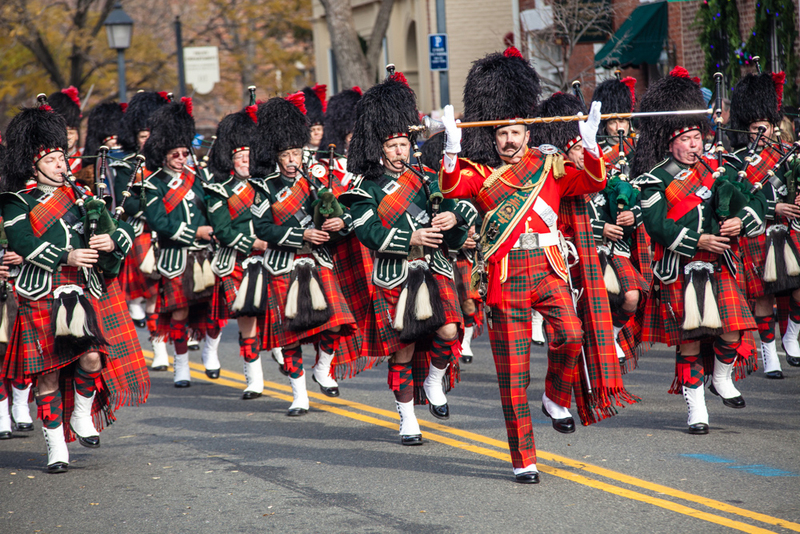 What's your favorite part of the annual Scottish Christmas Walk parade? Let us know in the comments below!